Our mission is to empower and celebrate the women/trans/femme/non-binary cycling community through storytelling, conversation, and sharing what we’ve learned. Our vision is to provide a place where cyclists of all levels and interests can find inspiration and information, whether they’re clipping in for the first time or tackling their first solo tour. We aim to foster a greater sense of connection and community by being a platform for a diverse & representative range of people and topic – so everyone can find a story they personally identify with. Anna Maria is a fashion editor and stylist with roots in cycling advocacy and community organizing. She is passionate about urban cycling and commuting, and has raced road for Kissena Cycling. She is an avid world traveler who loves traveling with a bike. She's taking her first strides in cross country and downhill mountain biking. She regularly consults for fashion brands interested in adapting their clothing to the needs of female cyclists. Currently Anna Maria is the Community Manager for Levi's Commuter jeans. She is a 2016 recipient of the QBP Women's Mechanic Scholarship at the United Bicycle Institute. She is also the owner of Sun And Air, a bicycle shop located in Williamsburg, Brooklyn. Whenever she's not on set with a fashion client she can be found fixing flats, or serving up espresso at the shops cafe. Kelly is a Seattle-based track and crit racer and former captain of the NYC-based team Formula Femme. She was introduced to cycling through a charity ride and single speed bike, then to racing through a weekly social group ride in Brooklyn. She found a sense of passion and purpose in community development and advocacy around racing. Off the velodrome, Kelly is a designer, USAC Official, and takes her small dog bike camping. Addie is a writer, adventure seeker, and loves just about anything you can do on a bicycle (especially if it's in the dirt). She started as a journalist with VeloNews while finishing a degree in philosophy, realizing that it was possible to intertwine her two passions: writing and riding (rolls off the tongue, doesn't it?) A long time roadie, former professional mountain bike racer, and seeker of questionable routes, Addie has gone head first into just about every aspect of cycling. And that's what keeps her coming back for more - there is always something new, and helping the ever-growing community of amazing women in the sport is such an honor. When she isn't getting lost on new roads or trail, Addie can be found drinking coffee, eating snacks, and hanging out with her sidekick, Alpine the Wonder Pup. Her home base is Colorado, but she spends a good chunk of time on the road traveling up and down the West Coast. Caitlin is the co-founder of CycleNebraska and a board member of the Nebraska Bicycling Alliance. She rides road and gravel and is a competitive cyclocross racer. She is an avid advocate for women's cycling, bike infrastructure, and rescue animals. For Caitlin, cycling goes beyond the gear, speed, and bikes, and loves the strength, freedom, and friends that come from riding a bike. By day, Caitlin is a marketing director, and outside of work, she enjoys cooking, designing, finding new adventures, and dogs. You can follow her on Instagram here or email her at caitlin@prettydamnedfast.com. Lori Nedescu, MS RD CSSD LD holds a masters degree in human nutrition and certification as a specialist in sports nutrition. She is a private practice dietitian at The Cadence Kitchen, a website devoted to fueling performance with creative, whole food recipes, nutrition tips and counseling services. When not eating or telling others how to eat, Lori spends her time in a cycling kit training and racing as a CAT1 elite cyclist chasing the professional dream. Her 2017 season is full of traveling, guest riding, UCI races and pro/elite pelotons. Lori's happy places include long, grueling mountain climbs, sipping cappuccino (preferably one with turmeric or spirulina), and digging into a beet-kale salad. 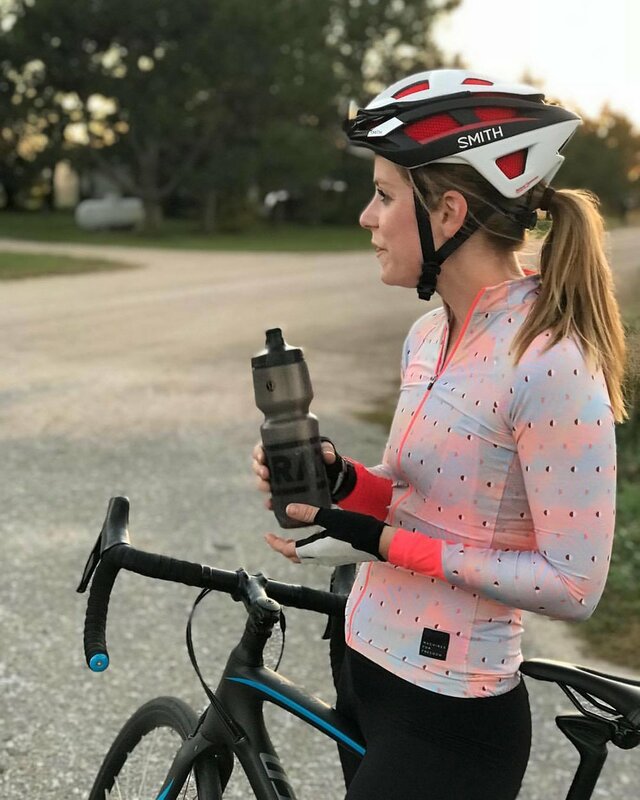 She's officially joining the PDF team to share performance nutrition advice, trends and stories from her cycling adventures with the professionals. Jen is the creator of the “Sunday Social”, a quarterly women-only event series at Golden Saddle Cyclery that mixes education and recreation in a bike-shop setting. She is also the co-creator of the“No Garmin No Rules” brand. She rides on the road and the dirt, and sometimes in stretchy clothes. A former graphic designer, musician, and lingerie boutique owner, Jen is passionate about the fashion, art, culture and design of the cycling world. A Certified Ayurvedic Health Educator, she enjoys cooking, photography, camping, and little dogs.